BY NADINE JAMES-WARD – As a nonprofit health plan, Blue Shield of California is guided by our mission to provide high quality care at an affordable price for all Californians. In order to deliver on that mission, we empower our employees to be active in the communities where we live and work through our Shield Cares program. In 2015, Shield Care’s focused on a number of opportunities to improve health benefits in our communities, including working with Food Banks to support those who are unable to afford nourishing food, participating in American Heart Association’s Go Red campaign and joining the American Cancer Society’s Relay for Life. We also worked to raise awareness for domestic violence and breast cancer prevention. In addition to the five company campaigns, Blue Shield employees carried out of 30 fundraising and volunteer service events throughout California. By volunteering or donating time and money to specific causes, employees are not only improving the health benefits of targeted groups, but also improving their own health. Research demonstrates that volunteering leads to better health and social benefits, as well as reduced stress levels. 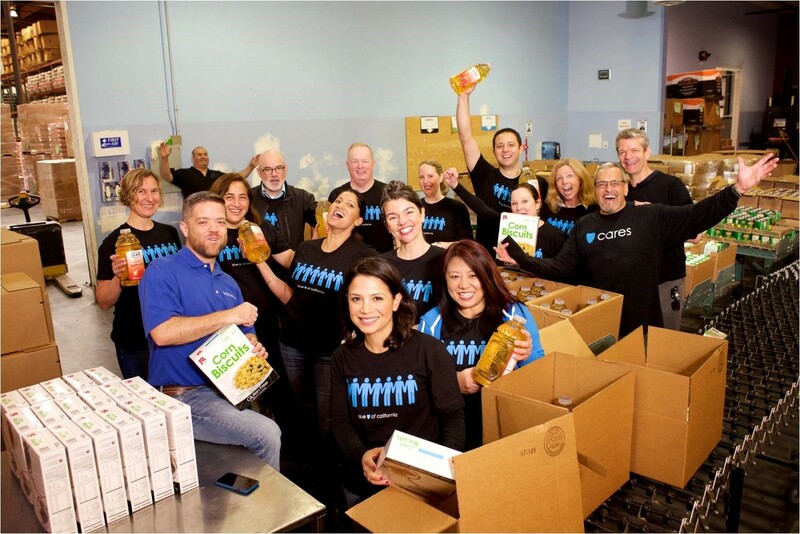 Blue Shield will be hosting a company-wide Shield Cares Month of Giving and Service in April, when our senior leaders will volunteer along-side employees at service projects throughout California. We look forward to sharing the results and key learnings from these projects in May. Nadine James-Ward is manager of corporate citizenship at Blue Shield of California.